While considering the EU Withdrawal Bill, the Lords passed an amendment to require the Commons to vote on remaining in the European Economic Area, bringing the possibility of a ‘Norway model’ for the UK back on the agenda. John Erik Fossum and Hans Petter Graver explain how this works and how it has affected Norway’s relationship with the EU. While Norway has rejected membership of the European Union twice in referendums in 1972 and 1994, it has consistently sought as close a relationship with it as is possible for a non-member. The core element of that relationship is the European Economic Area (EEA) agreement, which came into effect in January 1994, and which seamlessly ties Norway to the EU’s internal market without it being part of the supranational political union. But Norway’s experience shows how non-members must make difficult trade-offs between relative autonomy in decision- and rule-making and access to the EU’s internal market and other EU policies. Norway is frequently portrayed as a ‘rule-taker’ and there is no doubt that its inability to directly affect EU decision-making is – democratically speaking – very problematic. Yet a closer look at Norway’s experience reveals that, in spite of this, members of the EEA can still shape their socio-economic model and mode of functioning. In other words, how a country handles its relationship with the EU matters. Norway has retained a well-functioning welfare state and high levels of trust in public institutions, helping to offset potential negative influences. This trust is crucial. Norway’s experience underlines that the issue is not simply one of the modes of EU affiliation but the important left/right issue of choice of socio-economic model, which has significant bearings on the question of social justice. 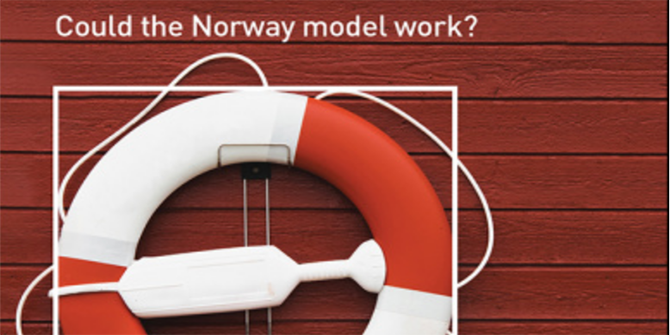 In the following, we present in more detail some of the features of the so-called Norway model, and in doing so seek to debunk some of the myths surrounding it. 1. The ‘Norway model’ is to some extent a misnomer since a core aspect of what is commonly referred to as the Norway model is, in fact, the European Free Trade Association (EFTA)-based EEA agreement which was signed by Iceland, Lichtenstein and Norway. All decisions here are based on unanimity. 2. The scope of affiliation for the three EFTA members of the EEA is not identical, and the EEA does not cover the entire internal market freedoms of the EU. Importantly, Liechtenstein has retained the right to place quantitative restrictions on the number of new residents. In addition, free movement of goods does not include goods from third countries since the EEA Agreement is not a customs union. This shows that membership in the internal market is not necessarily an “all or nothing” arrangement. 3. The ‘Norway model’ is not only the EEA but is actually made up of 120 different arrangements and covers a far greater realm of issue-areas than just those regulated under the EEA agreement. Norway is an affiliated member of Schengen and asylum and police cooperation (Dublin I, II and III). Norway is therefore situated within the EU’s external border with responsibility for border controls. It has also signed agreements on foreign and security policy and participates in the EU’s battle groups. 4. The Norway model may not be so much more constraining than the Swiss model as the formal difference in these modes of affiliation suggests. The point is that the Swiss unilaterally adapt their legislation to be EU-compatible. The EU is unhappy with the Swiss arrangements, and they will likely not be extended elsewhere. 5. The sheer range of affiliations under the Norway Model testifies to some flexibility and ingenuity, but there are limits, especially within the EEA agreement, which is about common rules and equal conditions for competition. There is political will on both the EU side and the Norwegian side to maintain close relations, and that allows for a certain measure of flexibility. 6. The EFTA states retained their freedom to decide their own trade policies towards third countries because they are not part of the EU’s customs union. In 2016, Norway had negotiated with the EFTA countries 27 free trade agreements, and negotiations with ten countries (including China) and regional trade blocks (MERCOSUR). 7. Norway’s experience suggests that it is far better to have a deal than not to have one. Theresa May has said on Brexit that no deal is better than a bad deal. The Norway Model, with all its challenges, has shown to Norwegians that having common rules and equal conditions of competition, and the equivalent means of enforcement, offers the certainty that is necessary for an open economy to function in today’s tightly interwoven Europe. 8. The Norway Model is not much contested. In fact, there has always been a clear majority in Norway in support for the model it has adopted: there is both little support for EU membership, and very little support for abolishing the EEA. There is a very strong sense across most economic sectors that assured EU access is vital for prosperity. 65% of Norway’s exports (excluding oil, gas and ships) go to the EU. 9. The importance of open borders. The 1630 km long Norway-Sweden border has been open for 200 years. When Sweden entered the EU, Norway could only keep it open through becoming affiliated with Schengen, which meant that Norway would be inside the EU’s external border with responsibility for border controls. Had Norway opted to stay outside of Schengen doing so would have undermined the Nordic Passport Union and free movement in the Nordic region. In the UK context, the political importance of maintaining open the Irish border is readily apparent. In both the UK and Norway, there are political as well as economic reasons for keeping open borders. 10. Norway is a rule-taker and the ‘Norway model’ is democratically problematic. It reflects the problems of balancing state sovereignty, national democracy and assured EU access, and privileges the last dimension of access. The Norway model reflects the complex nature of the EU, which combines a supranational core (the internal market) and a set of intergovernmental arrangements for handling matters of border controls and security. There is more scope for bargaining in the intergovernmental realm, which the UK has experienced through its numerous opt-outs and opt-ins. 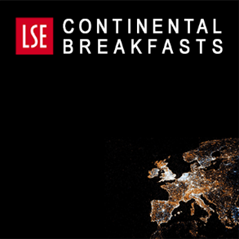 The implication is that the EU is more likely to accept bespoke arrangements in the intergovernmental than in the supranational institutional realm (the internal market and customs union). 11. Norway’s experience shows that it is important to consider the state’s ability to handle its EU relationship. The Norwegian state is a well-functioning state with a high level of competence and a broad range of comprehensive welfare arrangements and measures to promote gender equality. These features enable it to compensate actors for many of the negative effects of Europeanisation. 12. Norwegians will not automatically get the same arrangements with Britain that members of the EU will. Norway is not part of the Brexit negotiations and for many issues Norway will have to sort out its relations with the UK on its own, for example, on the rights of Norwegian citizens in the UK and UK citizens in Norway. In this case, the UK government has assured Norway that citizens will receive the same treatment. Nevertheless, Norway is a decision-taker on the sidelines during the negotiations on the UK’s future relationship with the EU and is concerned with when its arrangements with the UK will be settled. The above draws on the authors’ book on the subject, ‘Squaring the circle on Brexit: Could the Norway model work?’, published in 2018 by Policy Press. This article gives the views of the author, not the position of LSE Brexit or the London School of Economics. 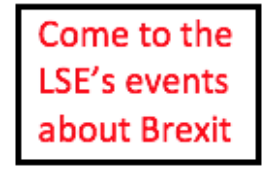 It first appeared on the LSE British Politics and Policy blog. 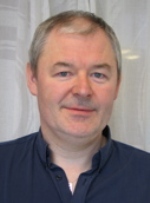 John Erik Fossum is Professor in the Faculty of Social Sciences at the University of Oslo. 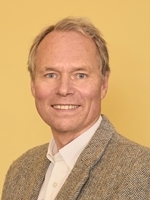 Hans Petter Graver is Professor in the Department of Law at the University of Oslo. Interesting and thoughtful s=argument for being part of EFTA. I believe Norway also is not part of the CAP and pays nothing into the scheme. Does anyone know if thats correct? Based on info given to me by various Norwegians when I was there earlier this year. “This trust is crucial.” I think this is the key reason why Brexit negotiations have been so difficult. Trust between the parties has been utterly ruined. Both sides bare responsibility, and it’s very hard to judge if either side is more responsible for the breakdown; one sides “merely stating facts” is another sides “deliberate bullying”. Now neither side seems to have any interest in reestablishing some trust, with the “negotiations” having descended into a massive game of chicken, with both sides threatening a no deal if the other doesn’t back down. There is much truth in what John Horgan says but I do think the UK as the instigators of change have the greater responsibility for the lack of trust. My impression is that the 27, having absorbed the shock of the referendum result, were particularly horrified by the early setting of “red lines” to opt out of the single market, customs union and jurisdiction of the ECJ. Virtually every problem and dilemma since has flowed from this hasty and quite unnecessary decision. This welcome article shows that Norway came up with a much more measured approach. Being rule takers is in my view much inferior to full EU membership (especially with the UK opt-outs and opt-ins to which the authors refer) but if EU membership is off the table then clearly the Norwegian model is highly preferable to throwing all the toys out of the pram. Quite right Dennis – about the responsibility for the antagonism lies with the UK gov. But it would be in every bodies’ interests now to stop grandstanding and try to find a solution that would benefit all 28 countries – or at least not cause any harm. Which could of course include the UK remaining – but for this to happen the EU structure itself needs to change otherwise the whole thing may collapse in a few years. Unquestionably reforms are needed overall if the EU is to thrive. It is now essential, for example, to find some degree of control over immigration, which has become a world problem. However answers to such problems need to be consistent with human rights obligations and can only be addressed at international level. What a time for the UK to spend years of time and effort in extracting itself from the best – albeit far from perfect -example on the planet of partnership between civilised nations.